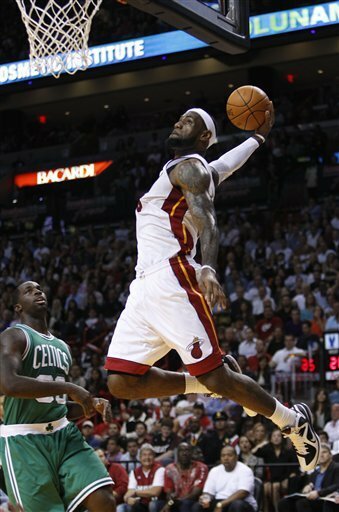 The HEAT Win AGAIN – 115 to 107 over the Boston Celtics in the Home Opener! We are on a 2 game win streak; next up, The Charlotte Bobcats! Norris Cole is the DHM FAN Player of the Game with an AMAZING 20 point performance to secure the Heat’s 2nd win of the season…ROOKIE STATUS!! Dwyane Wade MONSTER Block and Norris Cole finishes it up with a pretty runner! LeBron with the MEGA SLAMMMMMMMERR!! LeBron Steal and goes Coast to Coast for the MEGA DUNK on Rondo! It was a GREAT night out at S Bar Last Night for the DHM OFFICIAL CELTICS/HEAT Watch party!! Next article HEATSTREAK BEGINS – Heat De-Claw Bobcats in Final Seconds!